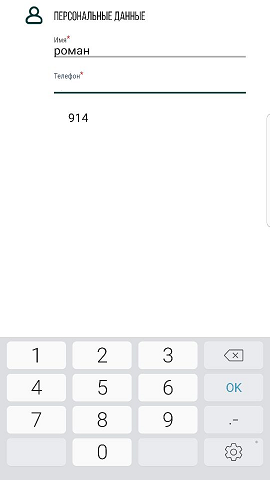 On S8 there is a problem when textinput is focused the text is under input. Think it can happen on S7 and S9. I found in forum problem with wrong resolution. Think it's linked to my problem. It happen on 27, 28, 29 airsdk. Think it happens on other sdk too. Does this happen only when soft keyboard is numeric or for other keyboards as well? Cant say it. I havent S8. This problem came from feedback from "big boss" and everyone afraid to ask him again about this problem. Hahaha really, that stuff still happen. Well that is not a healthy working environment for sure. Sorry man. On holidays I'll try to visit my friend and check this error on s8+. I have the same problem on S8. I try many things to correct this but I don't get an solution. We're having the same issue on AIR 29 for S8 and S8+ devices. It happens when the bottom nav bar is hidden. I don't own one of these devices, so I cannot do much to help. Someone should put together a very simple test case using flash.text.StageText that demonstrates the issue, and then submit a bug report to Adobe. This may be a reoccurance of this bug that I reported last year but was resolved in Air 29. Thanks for linking me here Divlaine. I believe I have a solution that works. It's hacky, but whatever. I'm in the middle of refining, but using the tip from tbeiser (and a bit from here: https://stackoverflow.com/questions/44884683/android-how-to-force-navigation-bar-to-be-visible-on-samsung-galaxy-s8 ), I used Distriqt's Application ANE to mess with the nav. Results in the textfield and cursors aligning properly. Which is a bit counter-intuitive since LOCKING the navbar in place actually results in textfields working properly. As not doing so leads to some UI elements being hidden under the statusbar (basically shifting the app upward). There's a flicker (and re-render) when I make the call to UI_NAVIGATION_HIDE, and I need to tweak this to only target the galaxy devices (or maybe just devices that mimic this functionality), but I'm glad to have the beginnings of a solution. @mfrasier If you can reliably reproduce this issue on one of your devices, I strongly suggest that you submit a bug report to Adobe. Be sure to provide some basic code that consistently reproduces the issue (preferably with flash.text.StageText instead of Feathers TextInput), and mention any specific devices that you know are affected. Samsung phones are some of the most common out there, so while a workaround is good, this issue should be brought to Adobe's attention so that they can fix it. I don't have a new enough Samsung device to reproduce this issue myself (nor the budget to buy one), or I would have done it myself already. I need someone's help here! Josh I know the bug and I am working on a fix. Here's the thing, with my S9, when I have the nav bar on or off at the start of my APP everything is good. Why ? because I get the stage.stageHeight and give it to a var. I then calculate the ratio with Flash display and starling viewport. @joshtynjala yes, after this release cycle I will try to build a simple app to replicate the issue. I don't have an S8 or 9 so I can only test when a colleague is around unfortunately, which means I gotta make the most of his time. As an aside, the workaround works. I added the code on softkeyboard shown and revert when it goes away. Unfortunately, it also causes a context loss, so I removed it for the time being. I figure a misaligned textfield is better than constant flicker/reloading when moving from field to field. It's interesting. Did you see air 29 changelog? As I understood they believes they fixed it. Yes, @BenLeffler notes that a few posts up. I am building with AIR 29.0.0.122 and still see it. I will give it a whirl on AIR 30 and see if there's any difference. If you use the swf-version compiler option, be sure to check that you're not using an older value. If the SWF was compiled with an older swf-version value, AIR will sometimes behave like an older version to maximize compatibility (for instance, if someone had a workaround to detect Samsung devices, and they manually moved the StageText to an offset location, Adobe wouldn't want to break that). AIR 29 is -swf-version=40, so make sure that you don't have a value less than 40. The fix might be there, but it might be disabled for older SWFs. Just tested this on an S9 on AIR 30 and the same happens. *edit* we compile using Animate IDE, so I don't think there's an option to fiddle with that. Could it be linked to target sdk version?